It’s fair to say that Vincent Janssen and Moussa Sissoko didn’t enjoy the best of seasons with Tottenham last year, and they’re lucky to get a second go. 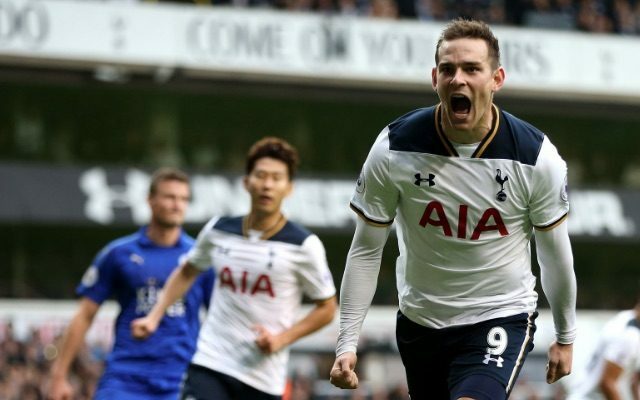 While Janssen struggled in front of goal when given an opportunity, scoring just six goals in 38 appearances in all competitions, Sissoko had his problems making an impact in midfield and bemoaned his lack of playing time and opportunities to impress. In turn, both seemed set to last just one season under Mauricio Pochettino. Although they both remained at Tottenham beyond the summer transfer window, it’s claimed that both were snubbed by interested parties. According to the Evening Standard, Janssen, who was signed last summer for £17m, saw Lille turn down the chance to sign him as manager Marco Bielsa had reservations over his technique. The 23-year-old is said to have been made available for transfer in the final few days of the window after Spurs were closing in on the signing of Fernando Llorente, but they saw their attempts to offload him fail as it seems Lille weren’t convinced while the report notes that West Brom were also interested. However, although Pochettino has since insisted that the Dutch international’s time at Tottenham isn’t over and he can prove himself this season, it’s still a tough battle to win for him, especially having now fallen down the pecking order behind Llorente. Meanwhile, talkSPORT report that Valencia had considered a loan move for Sissoko, but they eventually opted to go for Man Utd youngster Andreas Pereira instead. As the report notes, the French midfielder arrived in a then club-record £30m deal from Newcastle United last summer, but managed to make just nine Premier League starts. That in turn raised serious question marks about his future in north London, as he would have been desperate to get regular playing time, particularly with the World Cup approaching. The report notes that Valencia had seemed keen but opted to look elsewhere in the end and that would have left Tottenham frustrated as they were seemingly open to offloading two of their less influential squad players but failed to do so.